There’s no question, the digital marketing revolution is here — and it’s moving quickly. But with new technologies emerging every day, and digital advertising techniques changing in real time, it’s no longer enough just to keep pace. Staying ahead of the curve requires looking forward to what’s coming next and then taking the right steps to get your business where it needs to be. 1. The World Is Quickly Turning to Virtual and Augmented Realities. Remember the hysteria around Pokémon Go a few years ago? People of every age walked into cars and slammed into one another on the street as they immersed themselves in this new and exciting reality. Gaming may be how the masses interpret and understand augmented and virtual realities (AR and VR), but there’s also tremendous opportunity for brands to use these technologies to improve the customer experience. IKEA has been experimenting with VR gaming technology since 2016 when the well-known furniture brand announced the Virtual Reality Kitchen, IKEA VR Experience—a shopping app designed to let customers’ try out different IKEA solutions before buying them. Users can experience the look and feel of a customized kitchen, for instance, with just a click, moving about the space easily while testing different finish or cabinet solutions. 2. Voice Is Becoming the Ultimate Search-Marketing Tool. ComScore estimates that, by 2020, half of all search queries will be voice-based — a prediction that’s causing shrewd brand marketers to sit up and take notice. Voice recognition technology is only expected to grow bigger and better, and consumers are welcoming the convenience of intelligent voice search with open arms. To get in front of this trend, think about the differences between text and voice search. More specifically, consider what your customers might speak, rather than type when making an inquiry. It also makes sense to start writing in a more conversational tone to develop content that better aligns with voice search. Finally, if you haven’t done so already, optimize your site for mobile — like, yesterday. For now, the majority of voice search usage is based on utility — people use it most when their hands are full or when they’re driving. But as word accuracy rates improve over the next year, and consumers become more accustomed to having their needs met, expect to see brands competing on yet another platform, as they struggle to understand how to be found in voice searches. 3. AI-Powered Solutions Are Everywhere — From Small Businesses to Large Enterprises. If 2018 is the year brands started to experiment with artificial intelligence (AI) and machine learning (ML) applications, 2019 will be the year they get it right. From chatbots to robotic process automation, the value of improved efficiency, increased productivity and higher customer satisfaction is becoming clear. 4. Video Views Lead Internet Traffic. Video is eating the web — a phenomenon we recognized years ago when the Washington Post predicted that video would account for 80 percent of all Internet traffic by 2019. That makes sense, because the average attention span is short, and most people would rather watch a video than read a blog post. Next year, live video feeds will continue to explode, but the real differentiator going forward will be originality. Interactive video and imaginative video marketing that encourages user engagement will quickly outpace video for the sake of moving pictures. Consumers become bored quickly — brands that use video to engage and excite users will win. In the coming years, Pavaneva believes businesses will leverage native ad strategy through social media like Instagram Stories, showing content that users hardly recognize (or mind) as ads. 6. Programmatic Advertising Is Going Mainstream. In 2018, we’re seeing the growth of programmatic advertising. The technology that was once reserved only for media-buying is on fire and predicted to account for two-thirds of the world’s digital display advertising by 2019. Buyers and sellers are investing heavily in automated ad buying — and they will continue to do so. nice blog thanks for sharing with us its really informative. Push notifications and vernacular content/ vernacular ads are going to make a great difference in 2019. Recent surveys suggest that in countries like India, pakistan, bangladesh and srilanka, huge num of people are spending much time in youtube for watching vernacular language content instead of english. This article is giving a clear idea about the future marketing trends. Thanks for the research. This coming year digital marketing is going to be a bit more elaborate in technological terms. 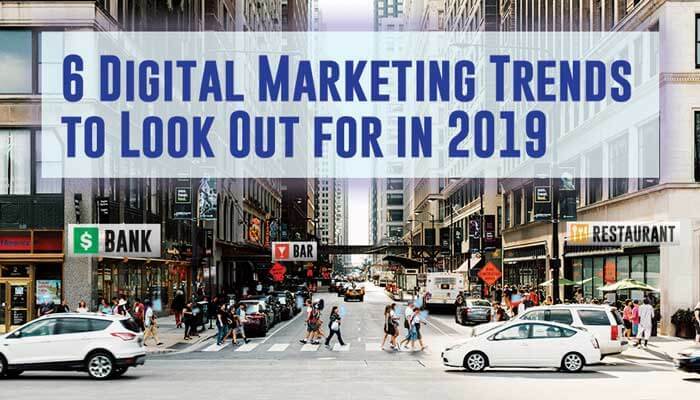 Have a look at the latest trends that might become an indispensable part of a digital marketing campaign for the next year. 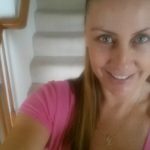 Great tips, love the site.